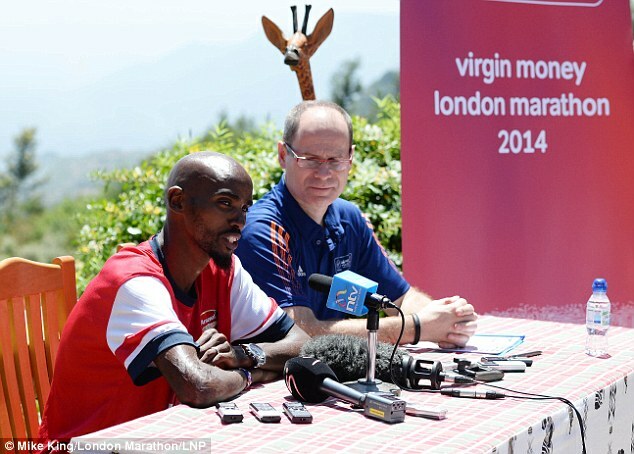 To beat the Kenyans at the marathon, Mo Farah would appear to have become a Kenyan. 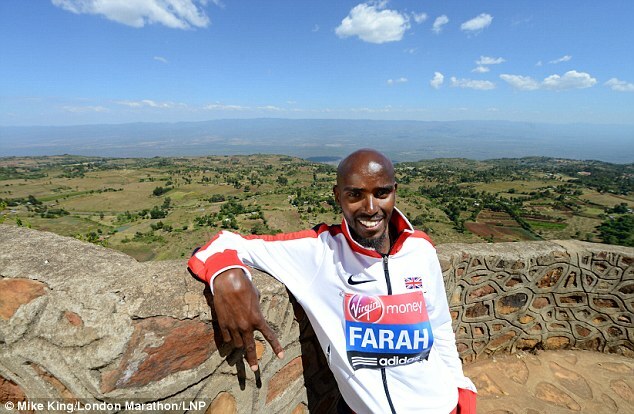 He is speaking Swahili on his Kenyan mobile phone after returning from a training run here at the High Altitude Training centre, and he is living a simple life geared only to beating the strongest field ever assembled on the streets of London in April. For Farah, it is all about sacrifice. About pounding the dusty red tracks, mile after mile, 8,000 feet above the 30-mile wide Rift Valley. It is an almost monastic lifestyle geared only to ‘training, eating and sleeping’ in the oxygen-starved air. A bit of telly, if he’s lucky. Mainly Barclays Premier League football and his beloved Arsenal. But not much else. Farah has been here for two weeks. He will be here, aside from a brief break to run a half-marathon somewhere soon, for another two-and-a-half months. Away from his wife and children. Away from the comforts of home. And why? Because he regards the Virgin Money London Marathon as the sternest challenge he has faced, given the quality of the field Dave Bedford has assembled for his debut at the distance. As well as Wilson Kipsang, the world-record holder, he will face the reigning Olympic and world champion, Stephen Kiprotich, and Boston record-holder Geoffrey Mutai. 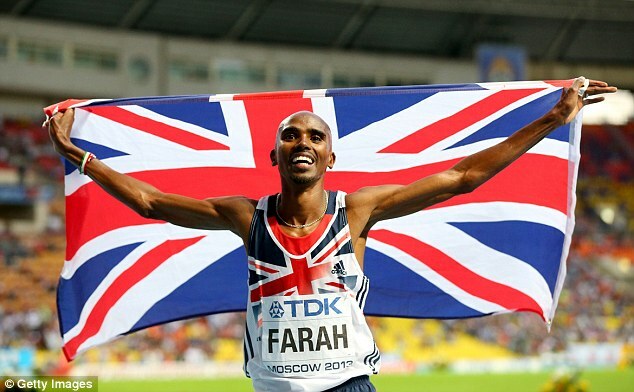 Throw in the defending London champion, and the course-record holder, and Farah has his work cut out. ‘It’s going to be the hardest race I’ve ever done,’ he says. ‘Harder than the Olympics in London. It’s not going to be about taking on a few guys but the best. He says he is learning Swahili out of respect to the people he has visited as part of his training regime for the last six years. Iten calls itself ‘the home of champions’ and it’s a fair description — it is home to 500 elite athletes. 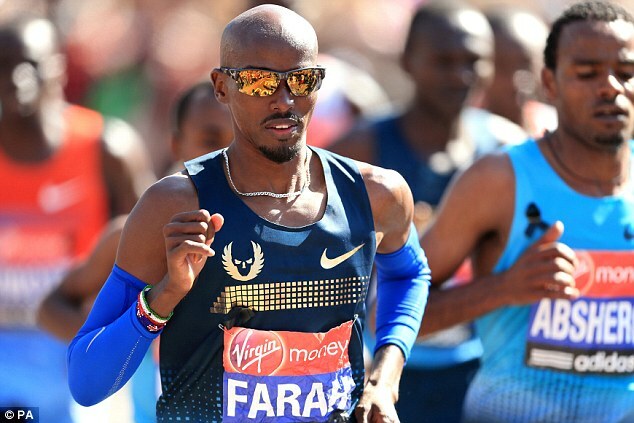 Farah says he has already spotted Kipsang at the new tartan track that he and Paula Radcliffe will open officially on Saturday. 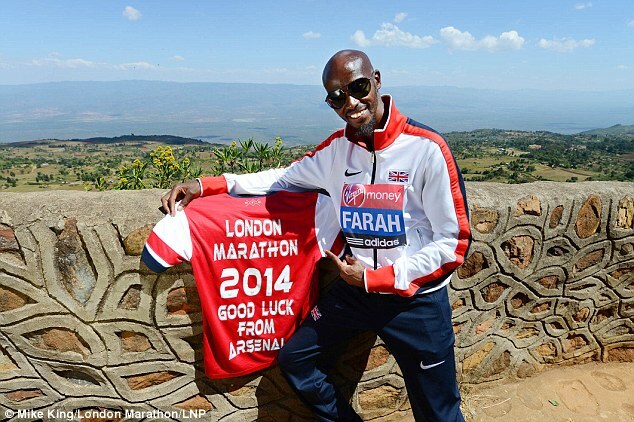 Far from being intimidated by him, Farah says he intends to train with Kipsang next week. Heaven knows what he was saying in Swahili but in English he is talking a good game. He will go into London to win. At the very least he hopes to break the British record of 2hr 7min 13sec, set by Steve Jones in 1985, and so become the holder of the British best at all Olympic distances from 1500m to the marathon — an achievement that might just make him the finest distance runner in history, anywhere. Full of confidence after yet another injury-free period of training, he also says he fancies a crack at Kenenisa Bekele’s 10,000m world record after London. If that makes Bekele a little uncomfortable, so will Farah’s target of a first world record. ‘If you look back I haven’t had a major injury and that’s enabled me to get stronger, year after year,’ he says. The marathon is also about rhythm and with his coach, Alberto Salazar, he is trying to cover 26 miles of tarmac more efficiently. His stride has been adapted to make him more ‘compact’, and there is a new pair of ‘sub 2-hour’ Nike running shoes. ‘We’ve been doing some testing but we’re keeping those under wraps,’ he says. ‘I can’t even tell you what colour they are, although I’d say it’s pretty obvious.’ Arsenal red it is then. The Commonwealth Games in Glasgow this summer? 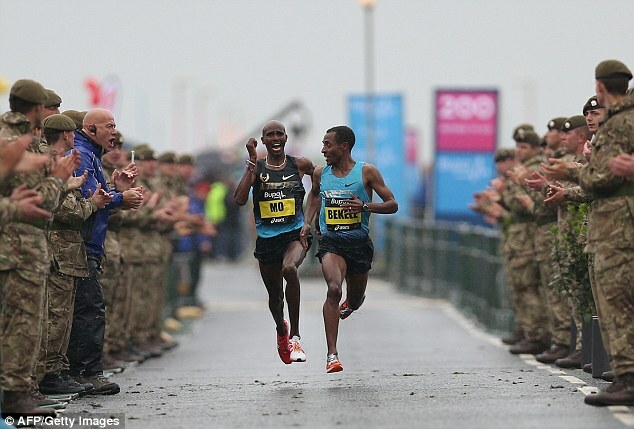 The marathon at the Rio Olympics in 2016? ‘It depends how London goes,’ he says. But it’s fair to say a burn-up on the track with the Africans in Glasgow might be a bit much given his lack of speed training. Now, it’s only about the marathon. ‘My first aim is definitely to try and break that British record. But as an athlete you never think about defeat. If you think like that you will never be a champion. I have confidence in myself. Saving energy extended to what he described as ‘having a day off’ yesterday. ‘Just a steady 10-mile run,’ he says, delivering a message in a language that all his rivals will understand.